Tenant screening is a several-step process. It begins with the lease application, where you obtain the lease applicant’s signature to run a background and credit check. It ends with phone calls and other verifications to check employers, previous landlords and other references listed by the tenant. Skipping any of these necessary steps is usually a mistake – just ask landlords who have! You might be tempted to forget about calling previous landlords if the credit check comes out clean. You might be tempted to skip the tenant background screening if the applicant tells you up front that he had a drug conviction five years ago. When tenant applicants are so honest up front, they must have nothing else to hide, right? Maybe. Maybe not. When your gut tells you someone is honest and deserves a chance, don’t listen! Do your due diligence and find out for sure if they can be trusted to live in your rental property, take care of it properly, and pay rent on time every single month. 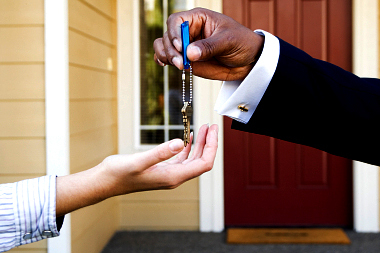 Conducting due diligence on a potential tenant takes a little time and effort on your part. Experienced landlords will tell you to listen for clues when you’re talking to references and former landlords to determine whether you need to dig any further. Clue #1: Former landlord says that applicant was never any trouble and paid rent on time. Would happily rent to them again and again. Ask: Why are they moving? How long have you owned the property? How do you spell your name? What is the legal address of the rental property? Clue #2: Employer says applicant was never any trouble, makes enough money to cover rent and is still gainfully employed. Ask: What is your name and position at the company? Ask even if the name is on the application in front of you. Potential tenants have friends pose as supervisors. Double-Check: Google the company name, address, phone number. Call the business and ask for the person you were speaking to – don’t just call the number you were given. Clue #3: Tenant applicant cannot provide paystubs. Ask: For W2s or tax returns. If you don’t get them, move on to the next applicant. Verifying tenant references is as important as formal tenant screening. Don’t base important decisions on your gut. Verify, then trust! As we all wait for the economy to fully recover from recession, we’ve heard reports of landlords skipping over essential steps in the tenant screening process. Thorough tenant screening is one of the best investments a landlord can ever make—some suggest that it can help you avoid about 99% of the problems landlords have with their tenants. When prescreening tenants, don’t skip over two essential pieces of background checks: verifying tenant income and employment. 3 Reasons to Verify Every Tenant’s Employment and Income 1. Not all tenants tell the truth. Tenants reflect the whole of our society, and your potential tenants are a mix of honest, dishonest, professional liars and ex-cons. When they tell you where they work and how much money they earn, they might be telling the truth—or they might not. Verifying employment and income is the only way to know for sure. Landlord Tip: Be wary if the tenant insists you talk to a certain person at their place of employment—they could be directing you to a friend who is posing as the employer. 2. Having money doesn’t equal having a job. 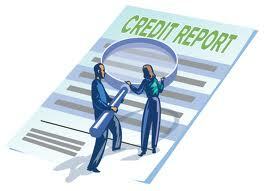 A nice car, expensive clothes and shoes and armfuls of jewelry can all be purchased on credit. A landlord we know was conned by a nicely-dressed applicant and signed a lease with her. Later, she found out that she had been laid off six months earlier from the employer she listed on the lease application. Making a quick telephone call to the employer would have avoided this situation. Landlord Tip: Look up employer telephone numbers yourself, either online or in the phone book. Some tenants will provide false information. 3. Keep your tenants safe from harm and your business safe from risk. Verifying income and employment helps you avoid renting to tenants involved in criminal activities. It’s easy to be impressed by a tenant with cash in hand to pay your security deposit and rent. But failure to verify a tenant’s source of income—with paycheck stubs, income tax returns (in the case of self-employed applicants) and phone calls to his or her employer—is almost asking for trouble to move into your rental property. Landlords who fail to screen properly have been held liable for harm suffered by neighbors or other tenants. Landlord Tip: Be prepared to submit a written request for information. Many employers will not provide salary info over the telephone. Don’t be in such a hurry that you can’t invest the time necessary to obtain complete information. Prescreen Tenants for Complete Peace of Mind The best way to be sure you’re renting to a qualified tenant is to prescreen all rental applicants. 100% online tenant screening is easier than ever — and it can reduce your risk! As a landlord, you know only too well that you cannot control your tenants’ behavior, or that of their guests. You can’t control the occasional damaging wind storm or unexpected tree limb on the roof. But in the beginning, at least, of the landlord/tenant relationship, you are in complete control: as long as you comply with all applicable housing laws, you alone decide who is approved to rent your property. There are a number of factors you may use to decide whether to reject an applicant. Today we’ll look at employment and income. The rental application should contain the following information that you must confirm prior to approving the applicant: current and previous addresses, current and previous employment, income, Social Security and driver’s license numbers, plus personal and rental references. You can do this yourself or with a professional tenant screening service. You can simply call the employers listed on the rental application; however, many employers are hesitant or have policies against releasing information over the phone. You may need to request verification in writing. It’s not a bad idea to have this information in writing as a matter of procedure. 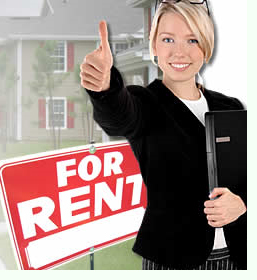 You want to be sure your prospective tenant is currently employed, and has a reliable work history. You can also ask the applicant to provide proof of employment and income, such as pay stubs. Don’t neglect to verify these with the source of the income to be certain they have not been falsified—or even fabricated completely. For sales or commission-based income, review at least six months worth of paystubs, or have the applicant supply you a copy of their previous year’s tax return. Ask for verification of any other sources of income to be used toward rent payments, such as child support or alimony. If any stated income cannot be verified, you do not have to include it when determining minimum income requirements. Be wary of business phone numbers supplied by the applicant if they don’t sound like legitimate businesses when you call. Likewise, be suspicious if the applicant insists you speak only to a certain person—they could be a real HR clerk, or they could be a friend who will supply false information. Certainly, legitimate businesses don’t always answer the phone properly, but let your intuition be your guide—it will tell you whether you need to dig a little further. You should also be on guard if your prospective tenant has plenty of cash for security deposits and first month’s rent, but no verifiable sources of income. If income is inconsistent with obvious spending patterns, be cautious. Cash without proof of income, or extreme spending on a low income could indicate illegal activity. You don’t want to have problems down the road with either a tenant who can’t pay rent regularly or with criminal activity on your property. 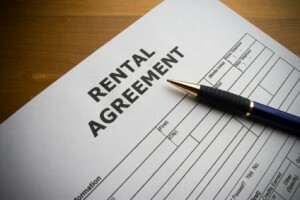 The best way to be sure you’re renting to a qualified tenant is to prescreen rental applicants. It’s easier than you think to do this online —plus, you’ll reduce your risk and your stress level!